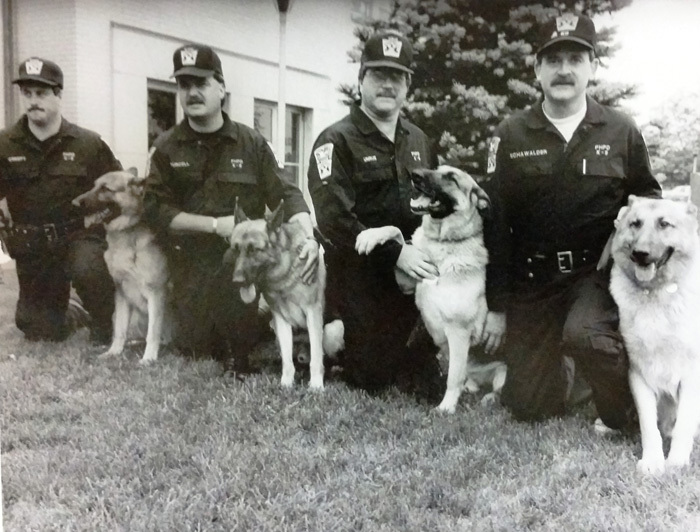 The Canine Division of the Penn Hills Police Department was established in 1977. It consisted of four officers partnered with four police service dogs. 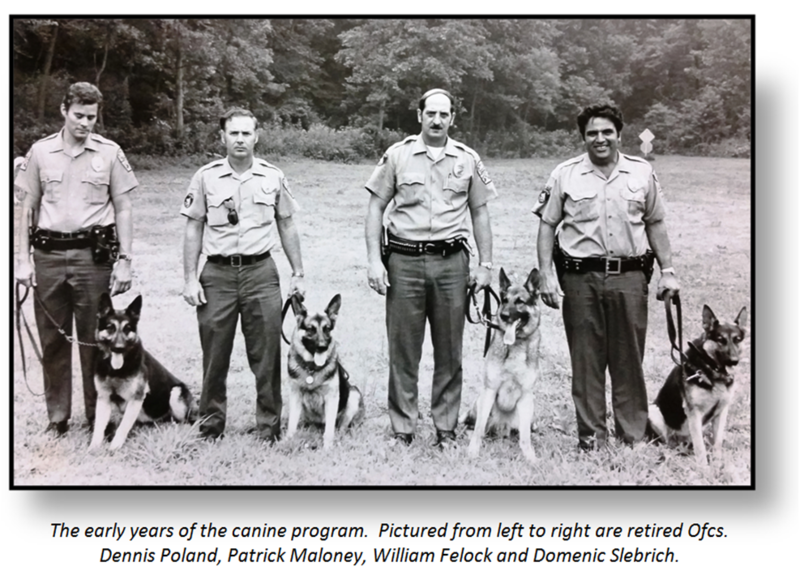 The first canine handlers in the police department were Officers Patrick Moloney, Domenick Slebrich, Gary Stover and William Felock. The unit currently consists of four canine teams. The primary role of the Canine Division is to offer support services to the Uniform Patrol Division. Canine officers will typically respond to alarm activation calls, requests for vehicle and building searches, to track fleeing suspects, and to aid in searches for missing persons. Our canine handlers also conduct school building searches at the request of the school district, as well as give public canine demonstrations. When an officer is selected to handle a newly acquired police service dog, they will take part in an initial training program that will acquaint them with the canine, as well as certify the dog in several different aspects of canine work. The training typically lasts between four and ten weeks. Upon completion of the training, the team is placed into service and will begin its regular patrol function. 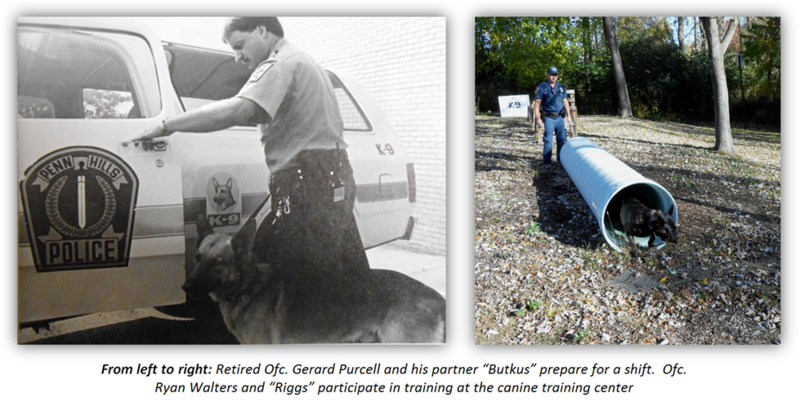 Our canine handlers continue to train on a weekly basis, with other canine handlers from nearby police departments. 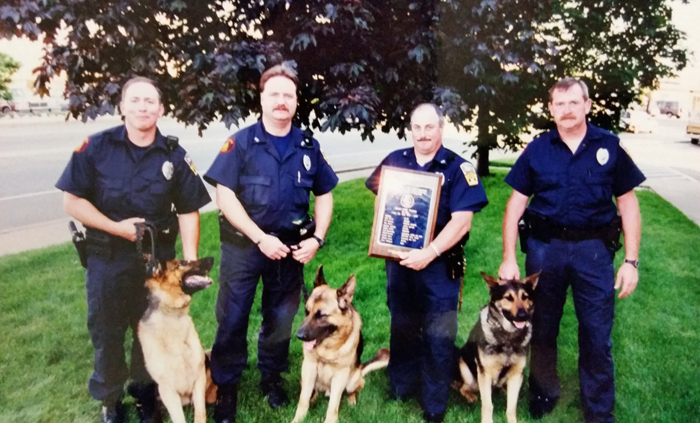 Penn Hills police service dogs are certified through the North American Police Work Dog Association and the Pennsylvania Police Work Dog Association. The dogs are certified in several aspects of canine work, to include; obedience, tracking, building searches, article/evidence searches, agility, aggression control, and narcotics detection. These certifications are renewed on an annual basis. 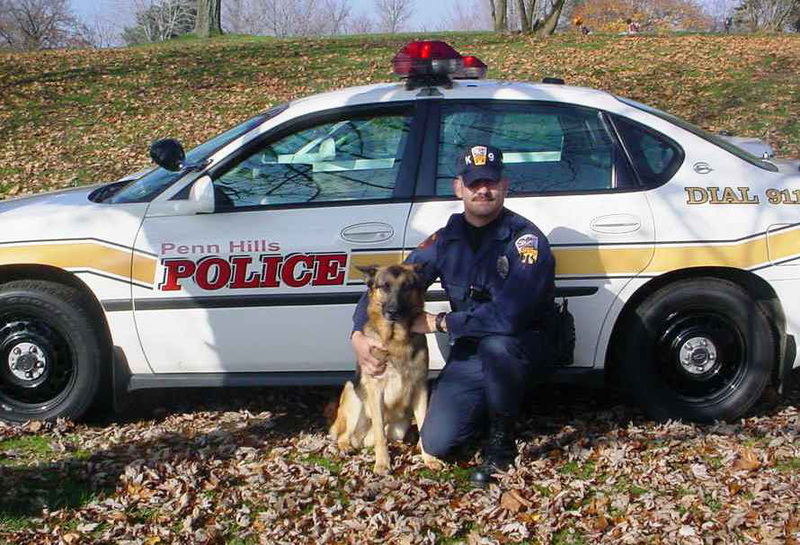 Penn Hills police canines are “dual purpose” police service dogs, which means that they are used for narcotics detection as well as patrol work. People often ask what happens to the dog when it retires from service, and if the dogs go home each day with their handlers. 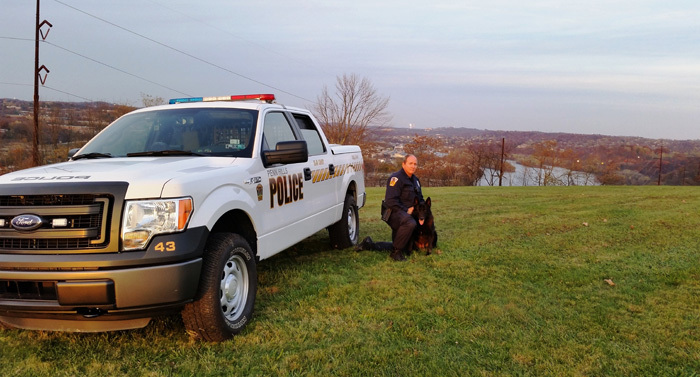 While the Municipality of Penn Hills owns the dogs, each canine handler has the responsibility of maintaining their dog when they are not at work. A police canine will go home with its handler at the end of their shift. When a police service dog retires or is taken out of service, the municipality will transfer ownership of the dog to its handler, who will then become responsible for any costs associated with the dog. Most of the handlers consider their canine partners to be just like a family pet and will keep them for the duration of their lives.